Detail Dogisatva "All Life is Sacred"
Here the Buddha has the soul of a dog. Certainly anyone who has ever loved a dog has no doubt his or her soul can be every bit as great as one of the greatest human souls in history. 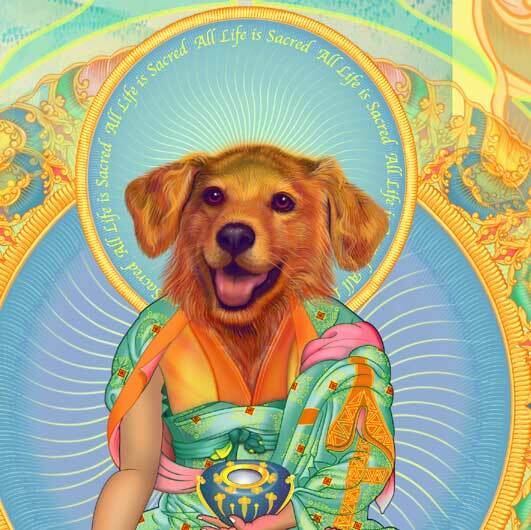 Nan Sea's noble rescued companion, Monte, is the sweet and handsome model for this Buddha.